The new credit system is now in effect, so we've put together an article regarding what you need to know about it. With the new credit system is officially released, we've put together an article outlining some important information you need to know about it. 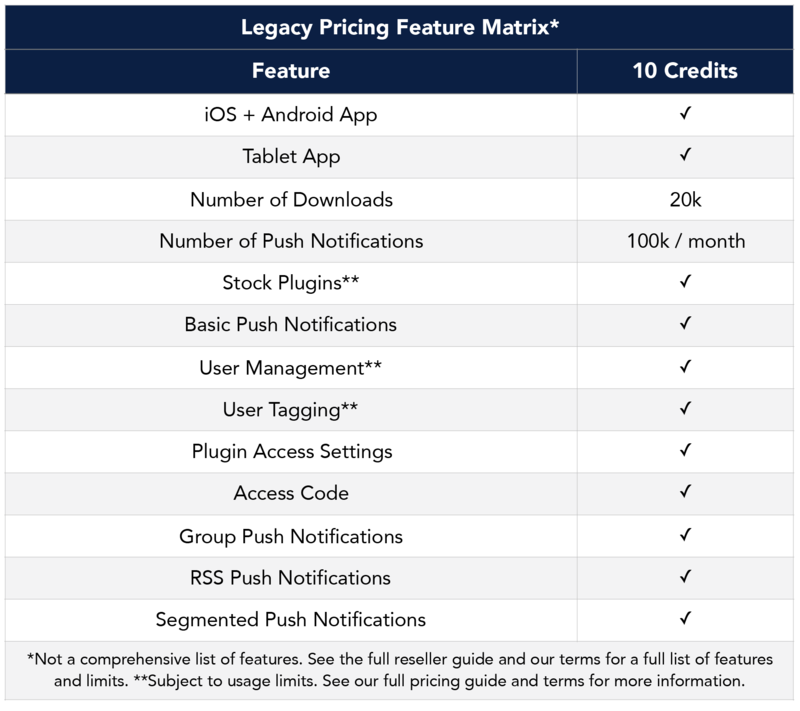 For our legacy customers, your current configurations are grandfathered in to make sure that, if you have features that were available under Premium status in the old pricing, but are now under Professional in the new pricing, they remain at only 10 credits. It is important that you DO NOT DELETE OR MODIFY THESE CONFIGURATIONS. If you do, your grandfather status may be removed from the configuration and your app credits will be recalculated resulting in higher pricing per app. If you do accidentally delete or modify this configuration, too bad!... just kidding :) We can help. Simply contact our success team and they can reset it for you. Credits are calculated based on the feature set that is included in the configuration to which an app is tied. 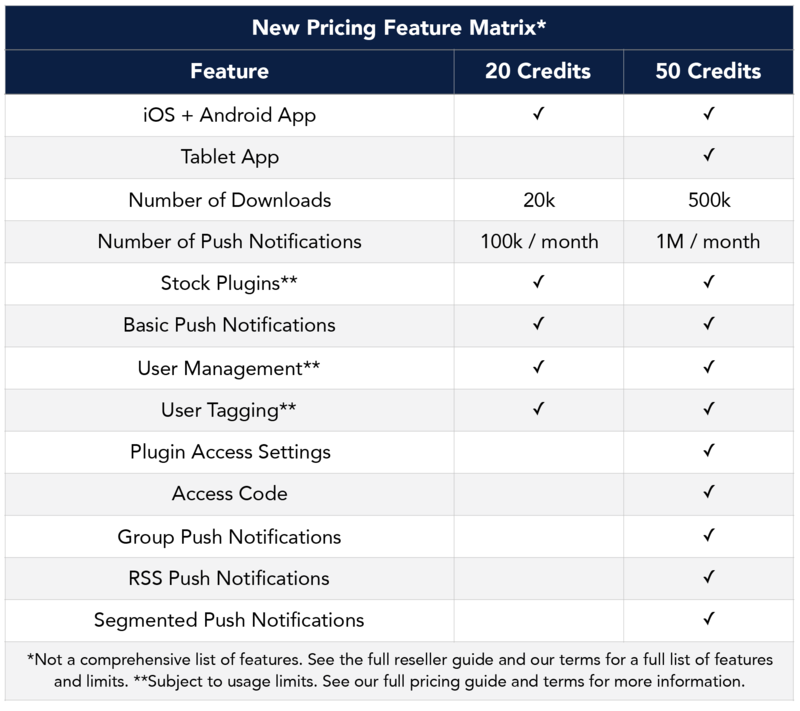 The following feature matrixes show at which credit level features are included.